June's Birthstone... A Pearl, a Moonstone, or an Alexandrite? 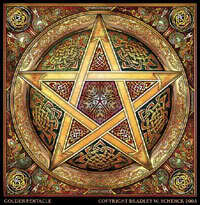 WiccanWay » Lessons » June's Birthstone... A Pearl, a Moonstone, or an Alexandrite? Joy to come, one fine June day." It’s my opinion this is how the pearl became the accepted birthstone for June. More weddings are held in June than in any month of the year; and the most accepted first promise ring is a pearl… because in most cultures, the pearl is said to keep sadness away. What better thing to give a blushing, “hopeful” bride-to-be than something to keep sadness away. Pearls are not really stones at all. They resemble acrylic, or even amber, and yet are unlike either of these substances. When some foreign body enters a mussel or oyster, this can irritate the mantle, or part of the shell which protects the living part of the creature. In turn, the mantle then coats the irritant with a substance, thus creating a pearl. If this irritant is introduced artificially, then the pearl is said to be cultured, rather than natural, which is what about 90-95 percent of all the pearls you will see are. Pearls have been used for many things, from decorations for royalty (Queen Elizabeth I wore dresses studded with pearls of incredible richness. She was reputed to have confiscated several fine pearl necklaces from Mary, Queen of Scots), to being ground up as medicine, to worn to keep away sadness, to protect one’s modesty, or chastity, and even infused with tea as an aphrodisiac. People in Asia have been using them for centuries as a treatment for heartburn and to aid in digestion because they are rich in calcium. Pearls have also been attributed with Moon worship, which I believe is why Moonstone also became an accepted birthstone for June. For many centuries, only nobility or royalty could get or wear pearls. Because of this, the moonstone, in my opinion, was elevated to Birthstone status for those that did not come from the “proper bloodlines.” Moonstone already has almost all the same properties Pearls do, and I’ve seen similar beauty and found works of art in both. As far as timelines go, Alexandrite is the newcomer on the scene, but is gaining ground quickly, and is becoming more and more the accepted birthstone for June. Green during the day, but glowing red at night, alexandrite has many of the same qualities that our precious dual personality Gemini does, and would seem can change just as fast. Alexandrite, again because of its dual nature, seems to be able to effortlessly stay on the fence between the physical and spiritual worlds, assisting the wearer in both places, often simultaneously.